A passion for the Old Testament does not always come easily. 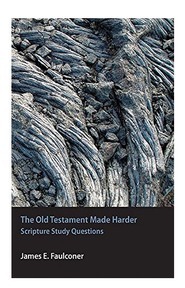 This collection of essays from today's foremost Old Testament scholars can help spark that passion in you. Speakers from the 46th annual BYU Sidney B. Sperry Symposium explain Old Testament prophecies in their original linguistic, historical, and theological contexts, helping us more fully grasp the Old Testament and its relevance to us. Chapters include topics such as Isaiah 7 and the fulfillment of prophecy in Matthew 1-2, the use of the Old Testament in the New Testament and Doctrine and Covenants, as well as the influence Old Testament prophets and prophecies had on the development of the Restoration. Discover more of what the Old Testament can mean for you. Aaron Pace Schade is an associate professor of ancient scripture at BYU. He received a BA in Near Eastern studies from BYU, an MA in Near and Middle Eastern civilizations from the University of Toronto, and a PhD in Northwest Semitic Epigraphy from the University of Toronto. Kerry Muhlestein is a professor of ancient scripture and director of the BYU Egypt Excavation Project. Kerry received his BS from BYU in psychology with a Hebrew minor. he received an MA in ancient Near Eastern studies from BYU and a PhD from UCLA in Egyptology.